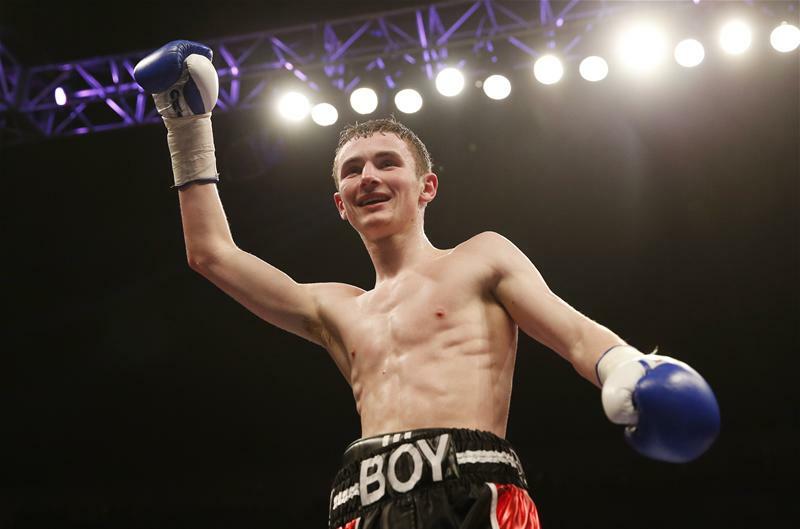 While he may not quite view it as a case of luck of the draw, Boy Jones jnr knows he must quickly dust off the lingering disappointment of his shared decision with Jamie Quinn at the York Hall last week. Not least because his name has been added to the stellar cast list assembled for what promises to be an epic night of boxing at the SSE Wembley Arena on July 24. So after a little sulk and a Chinese takeaway, by way of a consolation for his efforts over four rounds in Bethnal Green being deemed not quite enough to maintain a perfect record, the super-featherweight will take his place on a bill that demonstrates draws are not devastatingly damaging to the ambitions of hungry fighters. His previous outing at Wembley was on the same card as his stablemate Lee Markham going toe-to-toe over 12 punishing rounds with Frank Buglioni, with the judges unable to establish a clear winner. Buglioni will be back at the same venue on the 24th to challenge for the WBA Super-middleweight crown against Fedor Chudinov, while Markham will contest the WBO European belt with a promise of first dibs at the big prize should the Enfield man overcome the unbeaten Russian. The sequence of events is not lost on the 18-year-old. “I know and it is wicked for Lee too,” said the Boy (real name Ben). “I want Frank to win it so much because it would be good for British boxing to have another world champion, plus he is also managed by Frank Warren so I am backing him all the way. “Hopefully Lee will get the re-match, I thought he won it, but I can see why it was given a draw. When you fight for a title you’ve got to rip it from them. Not that Ben was quite so philosophical in the wake of narrowly failing to make it a hat-trick of pro career victories to date. “Well, I’m a kid, aren’t I, so I’m not going to get over it that quickly, but I am taking it as a win because everyone in the arena thought I won the fight,” he insists. “My trainer is the most honest man to me and he would tell me if I lost or drew the fight. I’ve got to get over it now, I am on the next bill and I am looking forward to that. You’ve just got to sweep it under the mat really. “It’s good because it keeps you level headed. It makes you realise that you haven’t cracked it and go back to the gym and work harder. The sport is not easy, but I haven’t lost any heart for it and it won’t happen again. “It will make me mentally stronger and turn me into a man. I had a little cry about it as I love the sport to bits. I will take it as a win, if you know what I mean? The short career path of Jones has taken him to London’s finest venues, with the youngster revealing after debuting with a comprehensive points victory over Joe Beedon at the O2 Arena and following up with the 60-second blitz of Aaron Flynn at Wembley, just how much he was anticipating stepping out at the more humbler surroundings in the east of the capital. While the York Hall witnessed a slight blemish to his CV, he still treasures his appearance at the famous venue. “It is ironic! I speak too soon, don’t I” he laughs. 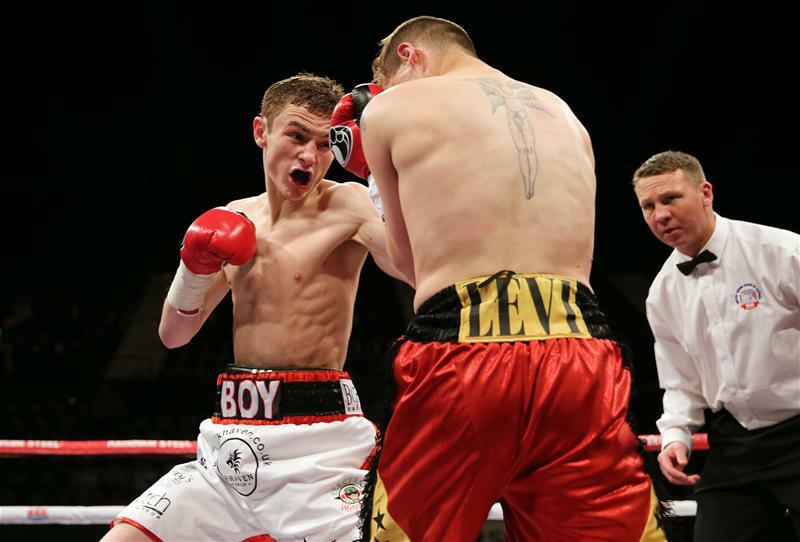 “I love the York Hall though, the atmosphere was incredible and I felt like a world champion on the night. I’m not exaggerating, it was mad and the York Hall was just behind me. “I went outside just before the fight and this old couple asked if they could have a picture, before telling me they had come all the way from Brighton to see me! Like the majority of his generation, Jones is no stranger to the modern form of communication that is social media. For a young sportsman, these are advantageous platforms that allow interaction with fans and the opportunity to build a following that are potential show-goers of the future. The Chingford charmer remains a little too modest to view his input to the various channels in such terms, but recognises the importance and relishes giving a little of his time to those that follow his progress, either online or in person. “We’re all human. I’m only a boxer, I’m not anything special, just a nice kid who likes being nice. I’m not big in the game but if it means something for me to tweet or follow someone back, or having a picture taken, then I’ll do it. “I love it, not the attention, but I love keeping people happy and wouldn’t like being hated. I’m not going to be one of those arrogant boys. “Mum and Dom (trainer, Negus) help me with tickets and after the fights I always make sure I go out to have a chat with everyone. Maybe that’s why they are mad about The Boy.